dapoxetine for cheap http://earthlove.org/blog/beltane/procession-with-green-man/ Charles L. McGaha was born in Cosby, Tennessee on February 26, 1914. He tried to enlist in the United States Navy in October 1937 but was turned away because the recruiter he visited had already met his quotas. The United States Army did want him, and he was posted as a member of the 35th Infantry Regiment of the Hawaiian Division. 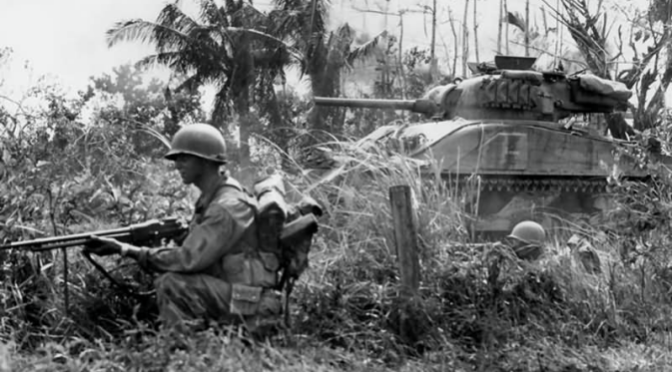 McGaha was there as the Hawaiian Division was transformed into the 25th Infantry Division on August 26, 1941. He was also present when the Japanese brought the United States forcibly into World War II with the attack on Pearl Harbor. 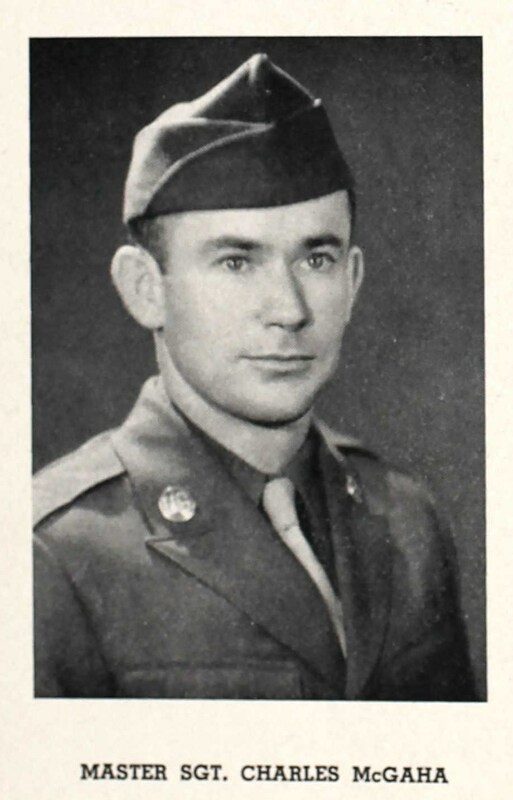 He later fought with the division during the Guadalcanal Campaign, and had reached the rank of Master Sergeant with Company G, 2nd Battalion, 35th Infantry during the Battle of Luzon in the Philippines on February 7, 1945 when his courage under fire resulted in his receiving the Medal of Honor. Citation: He displayed conspicuous gallantry and intrepidity. His platoon and 1 other from Company G were pinned down in a roadside ditch by heavy fire from 5 Japanese tanks supported by 10 machineguns and a platoon of riflemen. When 1 of his men fell wounded 40 yards away, he unhesitatingly crossed the road under a hail of bullets and moved the man 75 yards to safety. Although he had suffered a deep arm wound, he returned to his post. Finding the platoon leader seriously wounded, he assumed command and rallied his men. Once more he braved the enemy fire to go to the aid of a litter party removing another wounded soldier. A shell exploded in their midst, wounding him in the shoulder and killing 2 of the party. He picked up the remaining man, carried him to cover, and then moved out in front deliberately to draw the enemy fire while the American forces, thus protected, withdrew to safety. When the last man had gained the new position, he rejoined his command and there collapsed from loss of blood and exhaustion. M/Sgt. McGaha set an example of courage and leadership in keeping with the highest traditions of the service. McGaha was also decorated with the Silver Star, later commissioned as an officer, remained in the Army after the war, and attained the rank of Major before retiring. Tragically, he was killed at age 70 during an armed robbery on August 8, 1984. He today rests in peace in the Union Cemetery of Newport, Tennessee. Today, the 2nd Battalion, 35th Infantry is a component of the 3rd Infantry Brigade Combat Team of the 25th Infantry Division, Schofield Barracks, Hawaii.